Rescued Rides Photo Picture Classic Cars for sale & Classifieds - Buy Sell Classic Car & Classic Truck Classifieds. Sent in from George, "Saved, 2 cabs converted from sedans way back when, 1 chrysler 29 or so, 1 hudson 32. Also got 29 chev coupe there!" Did not see the grill shell in the other pic.Guess thats it inside.The woods frames inside the GMs mid 30s back sure make them more work to fix than Fords and Mopars of that time.Good luck and if like me you just love to look at it inside your barn even if you never start on it. George, great save. I always think this old stuff is savable. 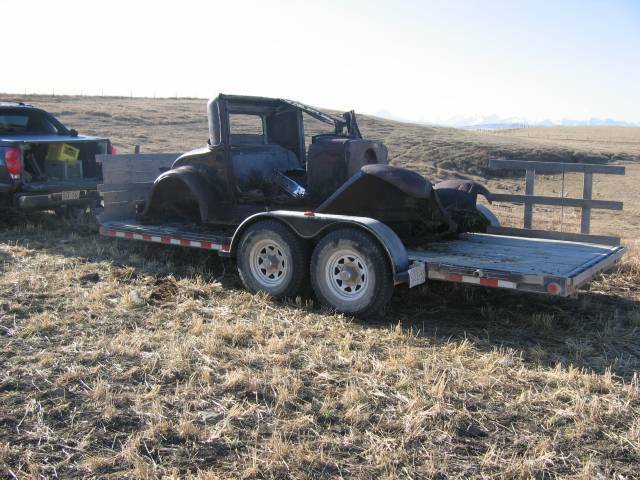 The whole rat rod craze has actually saved a lot of old rod material. It seems nothing is too bad to fix. I love rat rods. Rod on.